This retelling of the One Thousand and One Nights tale "Ali Baba and the Forty Thieves," set in tenth-century Baghdad, is told from the perspective of Marjana, the girl who saves Ali Baba, and brings a fresh perspective to the classic story! 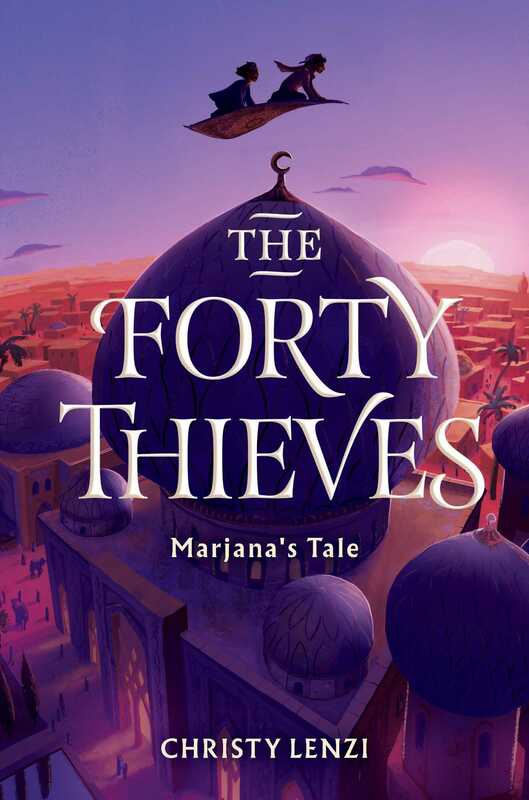 Marjana and her little brother, Jamal, who have been slaves of Ali Baba's cruel brother ever since their mother died, are kidnapped by the Forty Thieves one night. They are able to escape, but Marjana is worried for Jamal, as he becomes drawn to their lifestyle and joins a street gang. When Marjana meets Saja, a slave who works at the bathhouse, who's also concerned about her little brother, Badi, becoming involved with the street gangs, Saja and Marjana try to get their brothers to become friends, and in turn, become friends themselves, despite Marjana's initial reluctance. Marjana's mistress, however, is more worried about what her husband's fortune will be and convinces Marjana to spy on him when the fortune-teller Abu-Zayed visits. Abu-Zayed predicts that Ali Baba will end up far richer and greater, which sends Marjana's master into a panic, especially when he learns that Ali Baba has found the secret of the Forty Thieves' cave, which indicates that the fortune is coming true. Can Marjana save her brother from joining the street gangs, all the while helping Ali Baba from the wrath of the Forty Thieves?